Other Common Names: True camphor, hon-sho, laurel camphor, Japanese camphor, kamfertræ (Danish), Kampfer (German), alcanfor (Spanish), laurier du Japon. (French). Habitat: The camphor tree is native the southern islands of Japan and Taiwan, where they form majestic forests. It is also found growing wild in China. Today, it is cultivated in many countries with tropical and subtropical climate, especially in India, Sri Lanka, Egypt, Madagascar, South Africa and the USA. Still, Taiwan is the largest producer of natural camphor, with Japan in second place. Description: The camphor tree is a member of the Lauraceae or the laurel family. It is an evergreen tree that can reach up to 40 meters in height and live to be greater than 1000 years old. It has a wide spreading canopy and a short, thick trunk with a circumference up to 5 meters. The bark is rough and greyish-brown and the leaves are alternate and glossy green. The branches bear clusters of small yellow and white flowers followed by black fruits that contain one small camphor seed. Plant Parts Used: Camphor. A white crystalline ketone also known as 2-bornanon and commonly called camphor, obtained from all parts of the tree Cinnamomum camphora. It is insoluble in water but soluble in alcohol, and oils. It comes in three varieties, white yellow and brown. Only the white one is used medicinally as the other two are quite toxic. 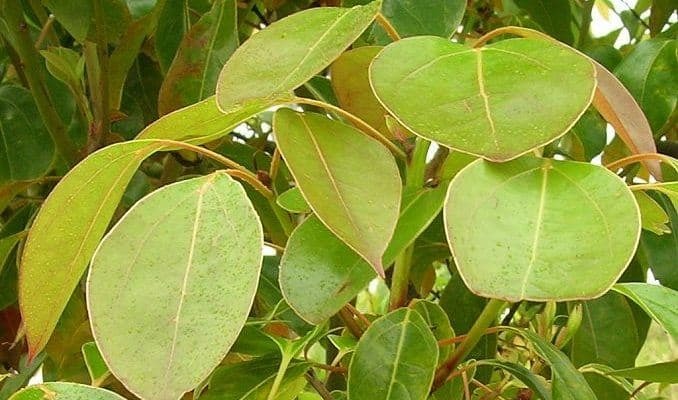 Camphor can also be obtained from some other related trees in the laurel family, like East African camphor (Ocotea usambarensi) or from plants from completely different plant families like Borneo camphor (Dryobalanops aromatica). Active Ingredient and Substances: The leaves contains approximately 1% essential oil while the wood contains around 3%. The essential oil contains 10-15% of 2-bornanon. The White oil contains cineol, pinene, terpineol, menthol, and thymol, but no safrole. The brown variety contains up to 80% safrole and some terpenoids. The yellow variety mainly contains safrole, sesquiterpenes, and sesquiterpene alcohol. The camphor oil has been used and extracted from different plant species over the centuries. 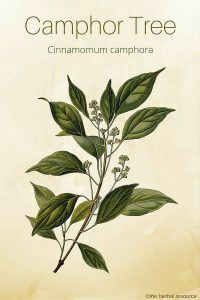 In ancient China, the camphor tree was used mainly for its wood as the Chinese never mastered the art of extracting the oil which they used as an embalming agent but instead imported Borneo camphor (Dryobalanops aromatica) for this purpose. In the Middle Ages, the Borneo camphor was also the only camphor available in Europe. All parts of the camphor tree have secretory cells containing a volatile oil which crystallizes when it comes in contact with air. In the past the whole tree was utilized in the extraction of the oil, usually from trees that were at least 50-60 years old. Today, only the leaves are used allowing for recurring harvest without killing the goose that lays the golden egg so to speak. The aromatic leaves can be harvested three to four times a year. The essential oil containing the camphor is extracted from the leaves by steam distillation. The essential oil is removed by compressing or centrifuging and the remaining raw camphor is then purified by sublimation. In the distillation process of the essential oil, three fractions are separated. These are known as white, brown and yellow camphor. White is the lightest fraction with the lowest boiling point, then the brown followed by the yellow as the heaviest. The brown and yellow varieties should never be used therapeutically, either internally or externally as they are very toxic. The white one can be used for medicinal purposes, mostly externally, but with caution. It is also used as a solvent in the paint and varnish industry, as a fragrance in cleansers, soaps, disinfectants and household cleaning products. In addition, it is used in the production of celluloid, elastic and extremely flammable substance produced by a mixture of nitrocellulose and camphor. 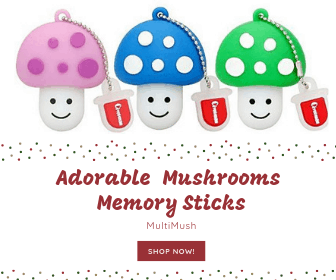 Once it was used as an external pain remedy for bruises, wounds, inflammation, gout and rheumatic joints, and internally to treat hysteria, epilepsy and heart-related ailment. Additionally, it was used in incense form as a treatment for asthma, bronchitis, emphysema and other respiratory ailments. Up until 1950’s it was used as a stimulant and was given as treatment for collapse and fainting. Today, camphor is mainly used in creams and ointments for rheumatic pain, neuralgia, arthritis, sore muscles, sprains and bruises. In addition, it is used as an insect repellent. A camphor oil, or some other products that contain it, can be applied externally on the neck and chest as a remedy for acute or chronic pneumonia and bronchitis. It can also be used directly on hands and feet to treat chilblains and to treat acne and cold sores. Camphor as herbal medicine is now available primarily as oil where the pure crystallized form has been dissolved in olive oil, peanut oil or another neutral base oil. It has been approved by the FDA for external application in a concentration of 3 to 11 %. When products containing camphor (3 to 11 %) are used correctly and the manufacturer’s instructions have been followed the risks of side effects are minimal. Camphor can cause a rash or allergic reactions in some people. Overuse can cause skin irritation and no products containing camphor should be used on open wounds or burns. All internal uses of the herb are advised against. If it is consumed it may cause vomiting, palpitations, convulsions, delirium, hallucinations and even death. Children and pregnant or breastfeeding women should not use this herb. Bartram, Thomas: Bartram’s Encyclopedia of Herbal Medicine. London, Robinson 1998. Duke, James A.: Handbook of Medicinal Herbs. Boca Raton, Florida, CRC Press 2002. McGuffin, Michael, Christopher Hobbs et.al. : American Herbal Products Association’s Botanical Safety Handbook. Boca Raton, Florida, CRC Press 1997. 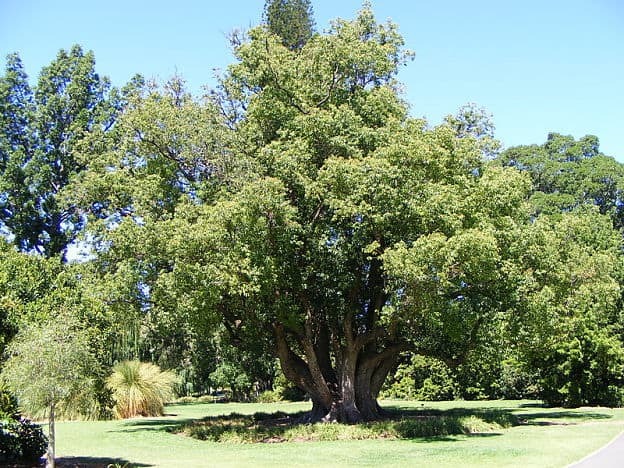 Camphor Tree: Cinnamon’s Smelly Cousin – by Green Deane. Eat the Weeds. Peirce, Andrea: The American Pharmaceutical Association Practical Guide to Natural Healing. New York, William Morrow and Company, Inc. 1999. Tierra, Michael: The Way of Herbs. New York, Pocket Books 1998. Weiss, Rudolf Fritz & Volker Fintelmann: Herbal Medicine. Second edition revised and expanded. Stuttgart, Thieme 2000. In South Pasadena, California, I’ve observed green parrots enthusiastically eating the fruit of Camphor trees. The fruit is a small, pea-sized, blackberry. I don’t know if it’s black, yellow or white Camphora. The tree is widely planted as a street tree. I’ve often wondered at the enthusiastic response. I apologize for the lack of detail. I’ve been told that the parrot is more successfully thriving in the Pasadena to Monrovia area than in its native Honduras.